Program Notes: Pulitzer Shout-Out edition. No science here, just enormous pleasure at the deserved honors falling the way of two good folks I know. In “Clash by Night” (1952), a shocked Paul Douglas finds her in a bar in broad daylight and asks how often she drinks whiskey in the morning. “Only when I have a cold,” Stanwyck says, with an irony so flat it could be a pancake in Kansas. Ladies and Gentleman: Your 2008 Pulitzer Prize winner for arts criticism. And then there is my MIT Writing Program colleague Junot Diaz. Junot has been in the news a lot this year, all for his astonishing novel The Brief Wondrous Life of Oscar Wao. It’s a great work, no hyperbole, funny, desperately sad, often horrifying, beautifully written. Actually — beauty isn’t quite the word. Junot’s writing is brilliant, a complicated play of different styles and levels, genuinely exciting prose. He wins this years Pulitzer for fiction (after having taken home the National Book Critics Circle Award already) for that quality of effort in this novel, but what the awards don’t tell you is what great colleage he is. He is a demanding, generous, inspiring — hackneyed, I know, but true this time — writing teacher. His students come back again and again, not because he is easy on them — quite the reverse — but because he evokes from them expression they did not know they could execute. I’ll be honest. Like a lot of writers, I think, my first reaction to reading an awards announcement that does not include me is pure, green-eyed jealousy, (never mind whether I’ve got anything remotely in the running, of course). But not this time. The good guys, both in the sense of good people and good writers, scored two. A glass will be raised slightly west of my current location to both this evening. And go take a look at their stuff. 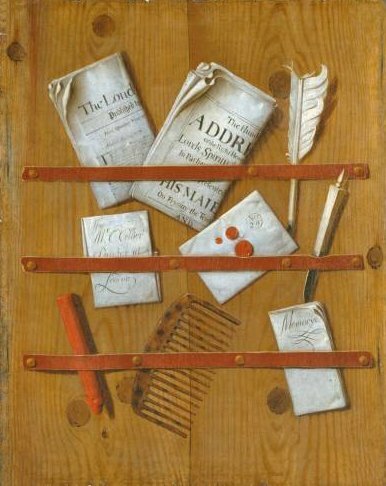 Image: Edward Collier “Newspapers, Letters and Writing Implements on a Wooden Board,” c. 1699. The Tate Gallery. 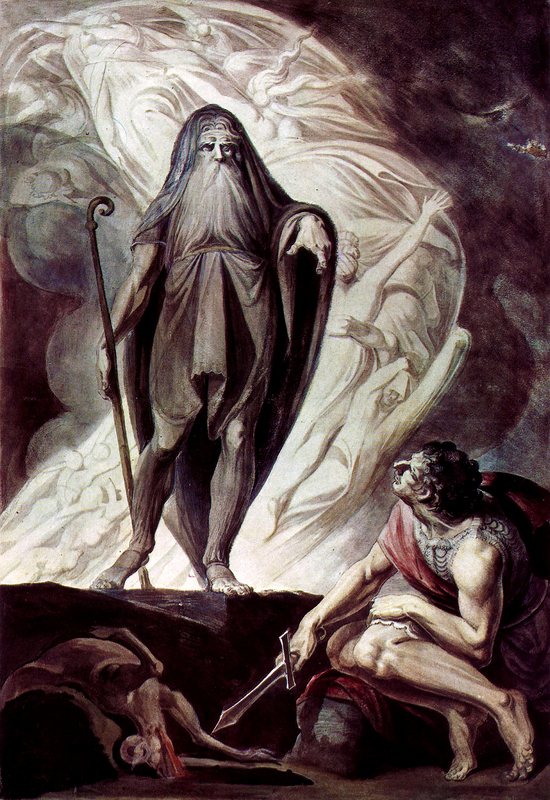 Source: Wikimedia Commons. Which is his way of acknowledging something a lot of folks have wondered at: the astonishing fact that Keith is still looking at the grass from the top down. All of which is my backhanded way of apologizing for the long hiatus; your blogger just survived hell week — hosting visits to MIT by David Macaulay and Chris Eyre. Great people both of them, lots to say, but all consuming. I’ll blog both of their visits separately, (in David’s case, probably in more than one post, as he was visiting MIT on what I hope is the first of a series of micro-fully realized residencies, and he and I spent two days popping into busy people’s lives with a mandate to ask “what’s going on” across a wide range of disciplines and approaches to the problem of figuring out how the material world works. Kid in a candy store time for both of us. So this is just to say I’m back, and to offer a few Sunday-type posts to entertain those faithful who have stuck around during the dry week. Regular posting resumes….